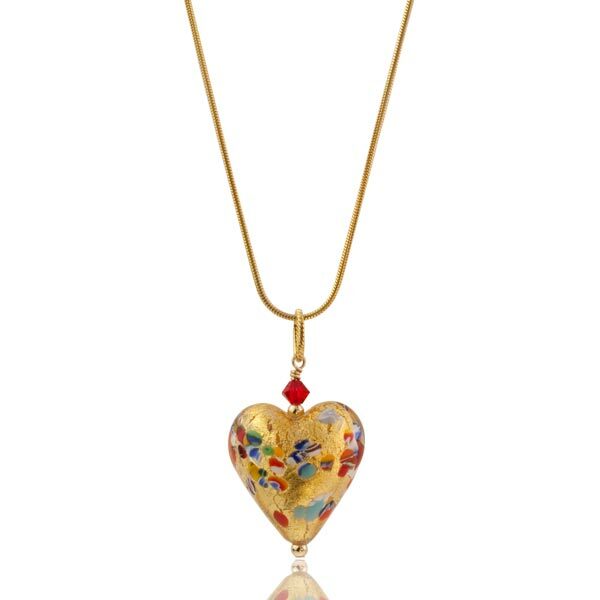 24kt gold foil and sprinkles of millefiori are submerged under a crystal clear layer of Murano glass to create this classic pendant. Accented with a Swarovski crystal and gold-filled components. Shown here with an 18" gold filled snake chain. Sold separately.